Interiors are pretty important to augment the charm of a room. And when it comes to the matter of bedroom, it has to be exceptionally smart. It is because bedroom is one such place in home, which stands to be the most relaxing. This is the reason that each and every piece furnishing as well as linen is regarded to be of high quality. In such a matter, having Sanganeri printed bedsheets is something important. Authentically from Rajasthan’s town by the same name Sanganer, this printed technique is beyond beauty. 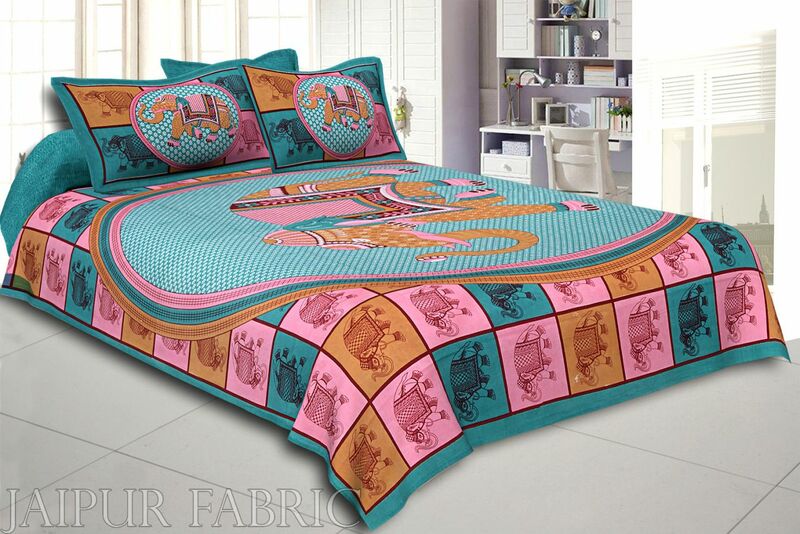 Sanganeri printed bedsheets have their own charm and adds to the vivacious beauty of the room. It can also be used for adding a royal touch to your bedroom because Sanganeri prints were a part of Rajputana kings’ rooms. Considering the significance of Sanganeri prints, the flowery prints hold exceptional worth. Various kinds of floral designs are widely utilized in the prints. Rose, lotus, sunflower, gainda, kachnar and lily are the maximum amount of patterns seen as a part of Sanganeri prints. They are exclusively printed on the fabric with the stems. Distinctive from the discrete prints, there is a use of complicated Jaal pattern with remarkable Buti that adds worth to the cotton and silk masterworks. These prints are drafted smartly with bright shades to give radiant appeal to the fabric. Such types of prints on the bedsheets look literally beautiful in the room. In fact, they have the power to add a royal appeal to the bedroom. 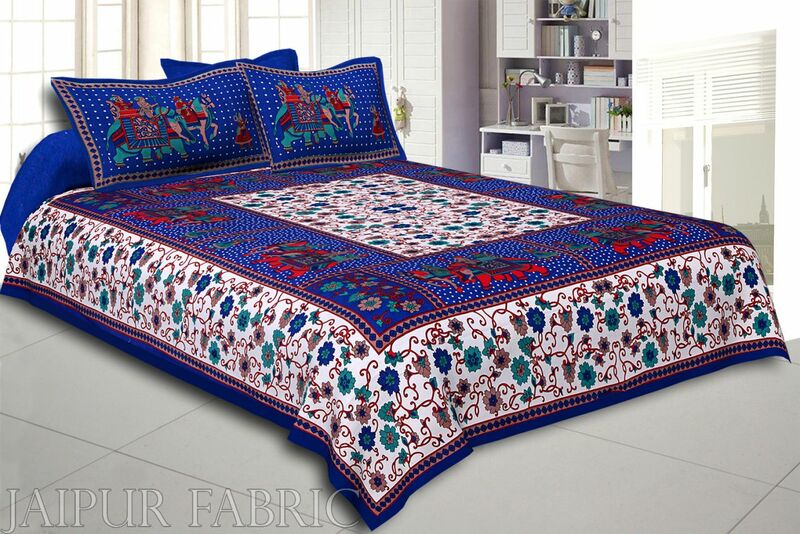 The moment you enter your bedroom, bedspread with Sanganeri print looks vivacious. Apart from utilizing floral patterns on the textile, fruits are also needed to print designs that give a characteristic style. Many of the old style prints had pictures of parrots and fish for maintaining exclusivity. Undeniably, from the previous fifty years, elephant, peacock, camel, horse and human figures were employed as printing patterns. Of course, bedsheets are an important part of bed linens that keep a room look refreshed. So, selecting the ones carefully is mandatory. After all, it is the matter of your room’s outlook. And everyone likes to hear accolades for the room interiors from the visitors. On, the scenario is such that there are numerous online stores that have made their presence on the web platform. 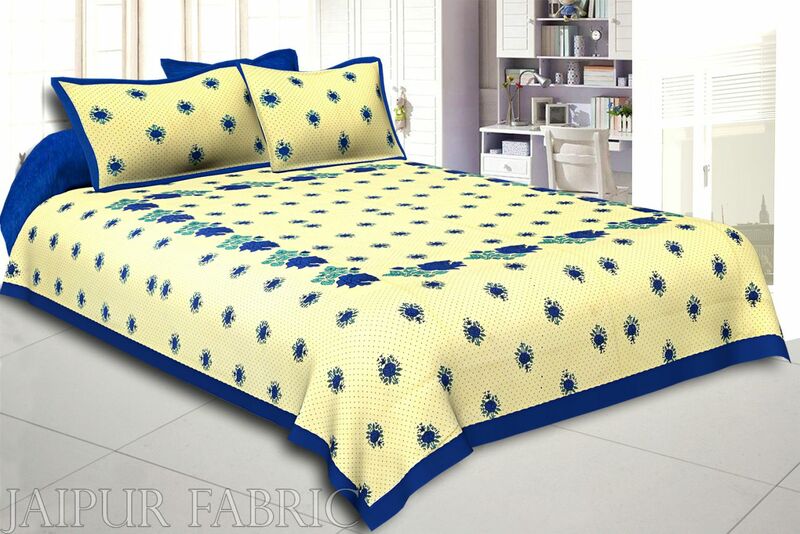 Basically, the fact is that such websites have exceptional quality and variety of Sanganeri printed bedsheets. With different shaded combinations available in the market, these websites allow people to select easily. Of course, the buyers can pick the printed bedsheets as per the interiors of their room. In his way, they will be able to develop symmetry and give wholesome effect. The good thing about buying through the websites offering Rajasthani bedsheets is that buyers happen to check out more variety that might be available in a particular store. Moreover, it is a matter of choice and people willing to buy traditional masterpieces at affordable rates for sure.